We need to plan ahead. And that means sometimes prepping meals ahead of time, especially if we know we will have a busy, stressful week. This doesn’t have to mean tupperware full of boiled chicken and broccoli. But it does mean making stuff sometimes before the madness of the week so we have tasty and healthy LEFTOVERS. If we don’t prep and plan healthy meals sometimes ahead of time, we grab the quickest, easiest, and usually least healthy, thing around. We are stressed and tired and we want comfort and something fast and easy. I know. I do this myself if I haven’t prepped. But it can be hard to eat the preplanned meals we have in our fridge if they are bland and boring and…well..disgusting diet food. HOWEVER, if they are leftovers we ENJOY then that is a different story. They not only are easy to grab when stressed and in a rush but they even taste good and are satisfying while giving us that little extra mental bonus because we know we are also sticking to our plan and moving forward toward our goals. Because, let’s face it, we may give up in the moment, but we do all want to reach our goals when we are thinking rationally and not stressed, tired or hangry haha. 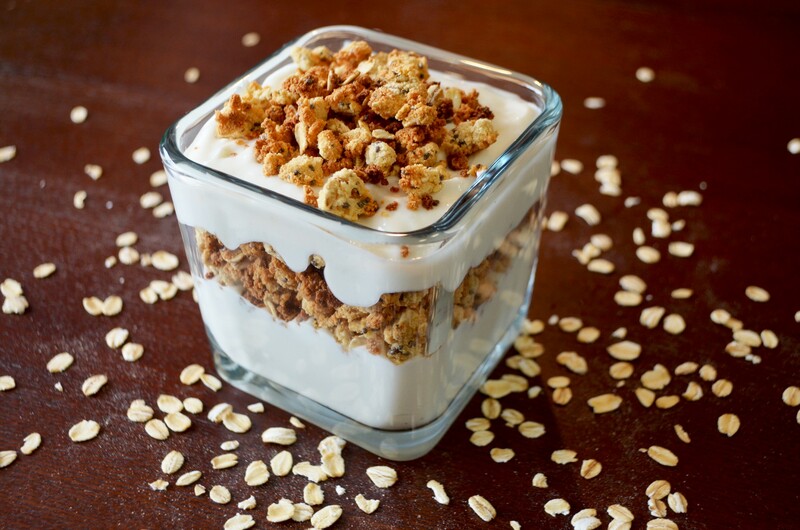 So it is important that you plan ahead with healthy and TASTY meals you can enjoy all week. 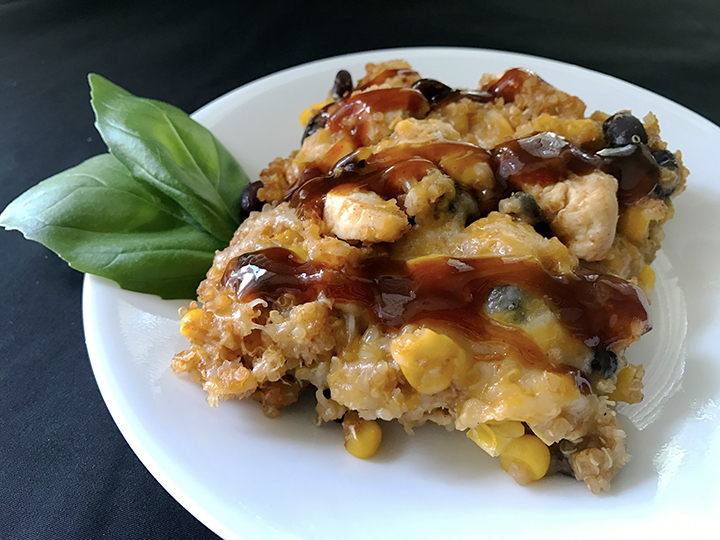 That is why I love this BBQ Chicken Quinoa Casserole. 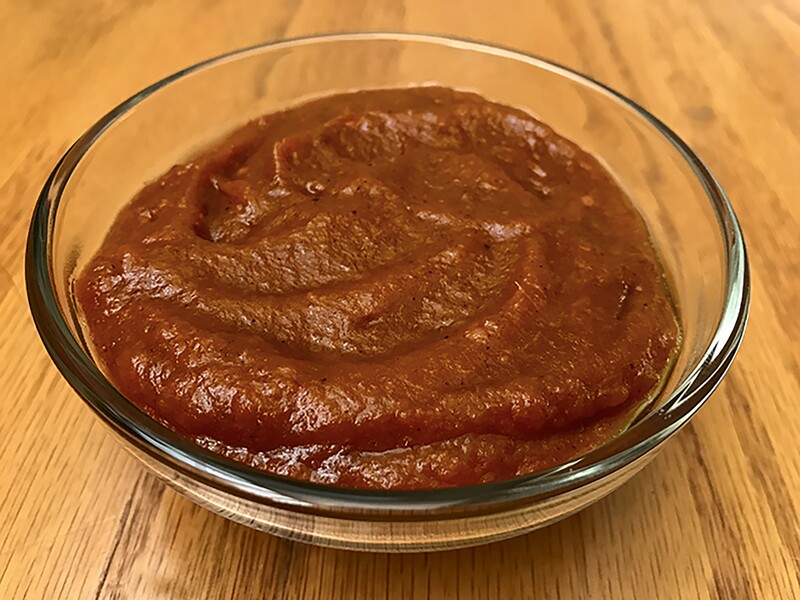 I’m from St. Louis so I’m a BBQ fan and this one with homemade BBQ sauce is the perfect macro cycling meal. Plus, it makes enough for the week or even for a few days if the whole family enjoys it! I love it too because I can even just simply prep some chicken breasts and use them in this casserole as well as salads, burrito bowls, tacos, stir fries and more! Pre-cook chicken and then shred so you have 2 cups. Also, pre-cook quinoa according to package instructions. 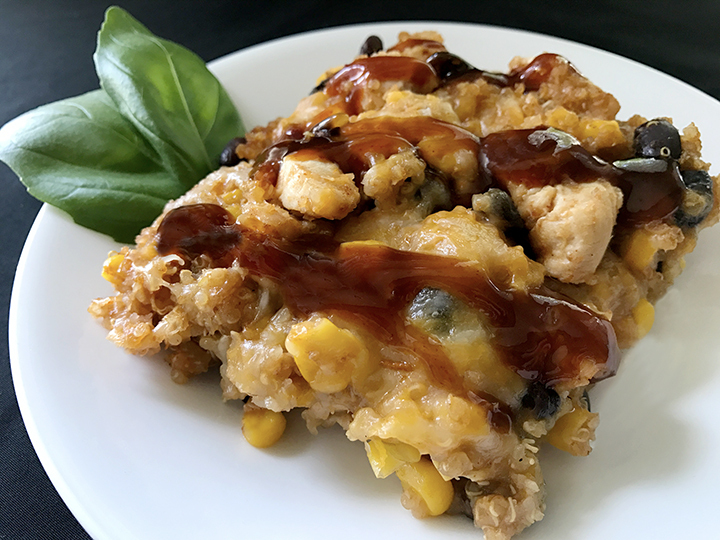 In a large bowl or baking dish, stir together quinoa, 4 ounces cheese, chicken, black beans, corn, and bbq sauce (save some of the BBQ sauce to drizzle on after baking) until combined. Transfer the quinoa mixture to a baking dish and sprinkle the remaining 4 ounces cheese evenly on top. Bake for 15-20 minutes, or until the cheese is melted and the casserole is warmed through. Remove from the oven, and drizzle the top of the casserole with a little extra BBQ sauce, and top with your desired (optional) garnishes. Serve immediately. Goes great with an avocado salad, some roasted veggies or even just a simple side salad or steamed veggies! Dice the tomatoes, onions, garlic and apple (leave the skin on the apple). Size of dice not important. Add all ingredients to a pot. Cover and simmer on medium/medium-low (depending on your stove) for about 30-40 minutes. You want it simmering, but not boiling, and not high enough to burn. After 30-40 minutes, all of the ingredients should be cooked and pretty well broken down. It should be starting to look sauce-like, but still a bit on the chunky side. At this point, turn the heat off, remove the bay leaf, and use a blender or stick blender to combine everything!